The first thing you should consider before looking at software packages, is to decide how you plan to manipulate photographs and photo-images Think carefully about whether you need just the basic features used by typical amateur photographers, or whether you are going to want the high-end features that professionals use. Note also that the programs described here also generally include tools for drawing on, painting on, and manipulating bitmap images, regardless of how they originated, so although these programs are primarily used with photo-images, don't imagine that you are limited to just those - you can start from existing non-photo images, screen shot, or from a blank canvas. You should also think about your budget - how much are you prepared to spend on the software? You should of course bear in mind any special offers or discounts that may be available. For example, many software packages are available in educational or academic versions to bona-fide students and members of educational institutions (usually such versions have a full set of features, but check! ), and if such a discount is available to you, and suitable for your needs, you will of course want to take advantage of it. This is the leading photo-editing software package in the industry, and is generally the choice of professionals. If you have the money, and want top of the range tools, this should be your choice. The powerful features built-in to the software. The amount of third party support available, such as books, tutorials, and compatible third party software. It should be noted that some people are deterred from using Photoshop, because of its high-end reputation - they fear that the program will be difficult to learn. However, modern versions of Photoshop are in fact quite intuitive, and tutorials like Learn Photoshop In Just 2 Hours† (You can read the Review of Learn How to Use Photoshop if you wish) can make the program accessible for even novices. The other reason why some people don't choose Photoshop is the price - there's no denying it's a relative expensive program. If you're struggling whether to purchase the program for this reason, take a look at whether a discounted version, such as the Student and Teacher edition, might be suitable for your needs. Adobe also sell a cut-down version of Photoshop, at a greatly reduced price, Adobe Photoshop Elements, so you can look at this too (although of course in this case you will be loosing many features). This is a very affordable photo-editing and painting program, that has very good reputation, and is best-known for offering great value for money. For novices learning the program, there are quite a few books about PaintShop Pro, as well as some online tutorials such as Corel Paintshop Photo Pro X3 Video Tutorials Step By Step Training† . This is a really powerful photo and bitmap graphics editing program, is one of my personal favorite programs. Older versions of this program used to be sold separately, but nowadays, as far as I know the only way to get the current version of program is bundled with other Corel software. I got my copy of PhotoPaint as part of CorelDRAW Graphics Suite. This was not cheap - I'd say mid-range priced - but I did consider it really good value - as the suite includes, as well as PhotoPaint, CorelDRAW which is a powerful (incredible!) vector editing program, and several other bits and pieces. 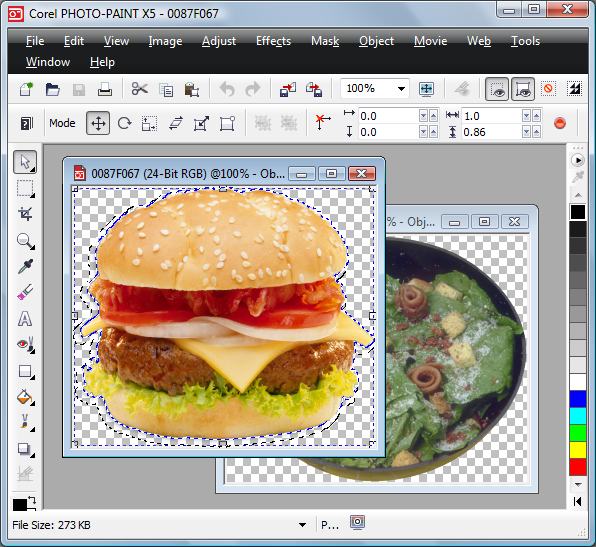 (You can also get Corel PhotoPaint as part of Corel DESIGNER Technical Suite, which includes even more stuff than CorelDRAW Graphics Suite). As far as PhotoPaint is concerned, all I can say is that I've found it easy-to-use - but it has a ton of powerful features - frankly, I've only scratched the surface with it. 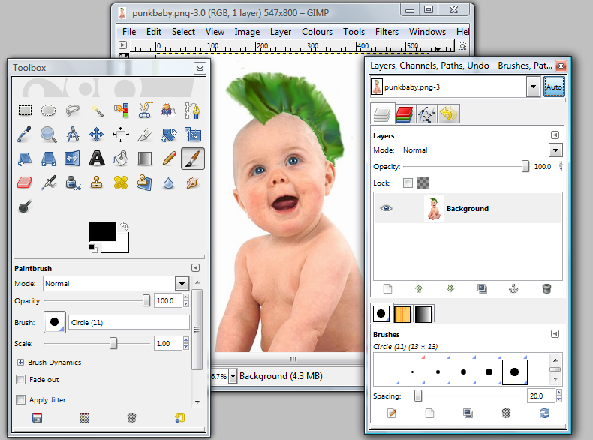 The GIMP is an open source photo- and graphics-editing software package. This means you can download the program for free, and set it up yourself on your computer - however, you might have second thoughts about the wisdom of this, if you struggle to install and use the program! The good news is that several commercial vendors have put together nice clean distributions of the GIMP, often bundled with other software and tutorials, which make installation and using the software a breeze. These distributions are also for the most part extremely modestly priced, so they are worth looking at. A few dollars to potentially save yourself days of agony, could be a very worthwhile investment! Perhaps one of the lesser known of the programs described on this page, Serif PhotoPlus is an affordable photo-editing software package that can be used to produce professional-quality results. Although not as high-profile as its competitors, the program has nevertheless established a loyal user base.